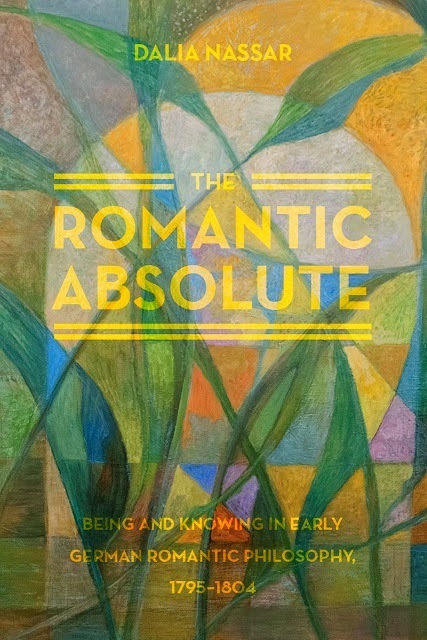 Dalia Nassar, The Romantic Absolute: Being and Knowing in Early German Romantic Philosophy, 1795-1804. University of Chicago Press, 2014, 341pp. – ISBN 9780226084060. Judith Norman ziet in haar review op NDPR: "Dalia Nassar's book is a welcome addition to the growing body of scholarly literature on the philosophy of German Romanticism." […] "Nassar has done a masterful and sophisticated job of reconstructing some of the primary philosophical positions of these three thinkers, paying careful attention to many nuances in the development of their ideas." Vorig artikelMéchoulan – om met een grote boog omheen te lopen.